Until that time, however, we remain humans pulling wheelies and toting lightweight carry-ons through the distances. But, lucky for us, those items are becoming smarter, safer, lighter, faster and more convenient with each passing year. 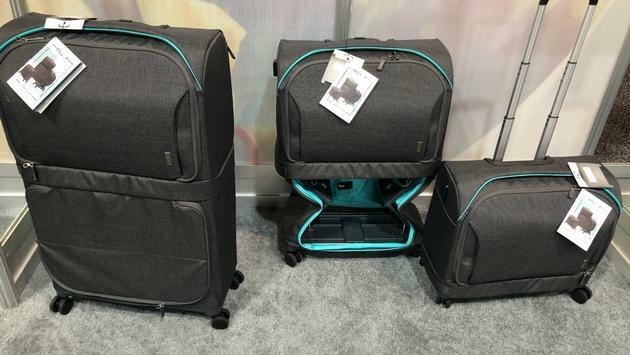 This year’s Travel Goods and Accessories Show in Las Vegas placed less emphasis on “smart,” and veered more toward the functional and convenient sides of luggage. That meant a focus on locks, looks, leverage, and lightness wrapped into ever more expedient models of comfort. The following are our top ten must-have travel goods and accessories for 2019. This darling of the Kickstarter generation has blossomed into one of the stars of the luggage show, transforming from a small carry-on to a full-sized luggage accessory, all at the push of a few buttons. This year's addition of a go-bag kicks the item into the spotlight. The lightweight carry-on is made of the same durable, non-scuff fabric, with the ability to convert into a desk, cup holder included. No need for a desk? Well, it's conveniently an over-the-shoulder computer bag or briefcase also. The Rollux is still running on Kickstarter starting at $249, with the accompanying Minilux available for $119. 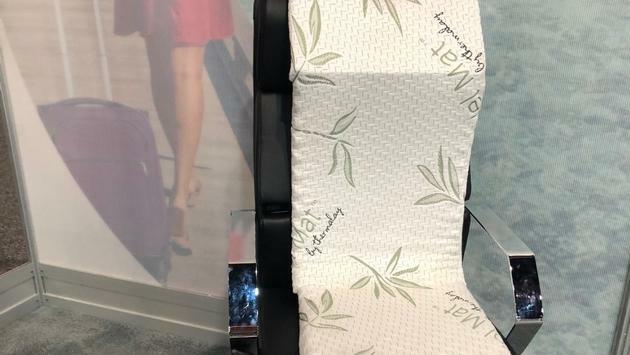 Although a little unwieldy in size, this New Zealand made travel mat can be a lifesaver on a long-haul flight, containing the perfect formulation of padding points to keep the back aligned properly and make sleeping on a flight possible. Folding up into the size of a pillow, it easily attaches to a piece of luggage or backpack, counting as part of a single carry-on. The two-inch memory foam pad comes with a neck support element meant to hold the head in place. Additionally, these flaps can flip to the back for extra support of the spine and lumbar areas. Prices run at $89. While this backpack looks just like any other, look closely and you can practically smell its secret: the ocean. Made from plastic bottles and debris pulled from the hundreds of miles of waste building on ocean surfaces around the world, these backpacks come with solar energy chargers that allow wearers to plug in and charge devices without using the grid, although it will likely take four to five hours of constant sun to fully charge a cell phone. The company’s founder, Adrian Solgaard of Solgaard Design, is adding an assortment of planet-worthy accessories to the portfolio, including suitcases, watches and even more made from this debris pulling fabric. The Lifepack sells for $125. This company first came to light in 2017, when the Bendy came on the scene. The six-inch item was meant to hold a smartphone, an iPad, keys and more, and was largely ignorable until Bed Bath and Beyond starting putting them on display. They flew off the shelves and lit the way for a variety of baggage innovations from this company. 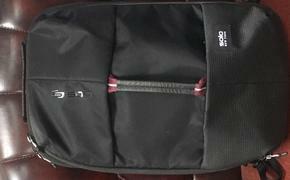 The Travel Bag is a lightweight, waterproof and durable backpack with places to store everything you need for the road, including compartments for a laptop and/or iPad, glasses, a smartphone, books, papers and even a Bendy. 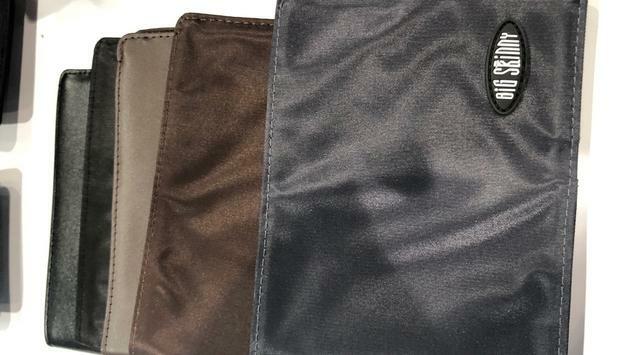 A hidden zipper pocket stores your money and passport. A tempered, leak-proof pull out pack for cold foods stores yogurt and sandwiches. Additionally, the pack does not forget the RFID blocking for front access pockets. Convenient pockets for charging devices and a clear TSA-friendly bag for liquids are also included. Backpack prices start at $79. For those times when it's necessary to block the world out, the Dreamlight Zen can do just that. Made to fit around your head, this plush eye pad has eyes that flash orange at a slow and rhythmic pace, encouraging your breathing and heart rate to follow. An attached element on the band brings guided meditation exercises and soothing sounds in stereo, just above the ears, pairable through Bluetooth with any enabled program on a smartphone. Dreamlight Zen currently retails at $299. While self-weighing luggage is not new, this lightweight hardware provides easy readouts that warn when the weight is going over the limit. When the suitcase is opened flat, the scale is activated for continuous readouts in pounds or kilograms. In addition to being operated by two AAA batteries, the bag also bears a TSA-approved combination lock and a removable battery charging station. Current retail price is $495. PacSafe seems to lead the way in anti-theft and security benefits, running a lengthy line of good-looking carry-ons, purses, briefcases and day packs that are made with virtually impenetrable materials. Items can be locked up and cable-attached to posts and furniture at the beach so vacationers can head to the water without continuously looking back. The most popular of the bunch is the Citysafe CX anti-theft backpack. 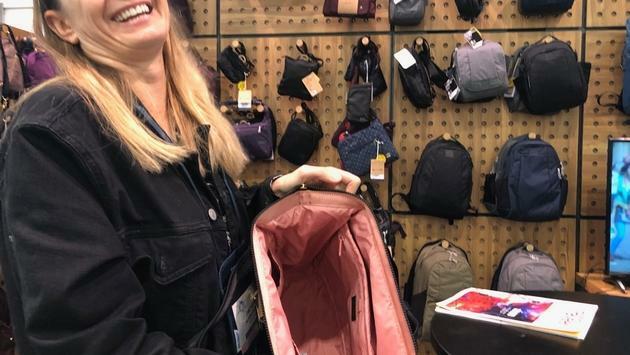 The RFID-enabled construction can fit a 13-inch MacBook, offers a phone pocket, a pen loop and a water bottle pocket, in addition to basically being slash-proof. The well of the pack is deep and wide, allowing complete visibility so you can forget about wasting time digging for items. The bag sells for $129. Elios has become a name as of late for the newest in traveler-focused charging and tracking technology. Its GoPlug made waves at past shows as a device with lightweight portability that could manage seven phone charges and two Laptop charges in a short period of time. 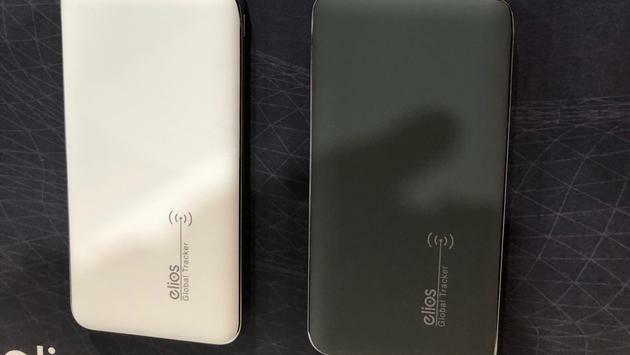 This year, the company introduced The Elios Smart GPS tracking power bank, which can fully charge a smartphone three times over and can track personal gear in more than 210 countries. Real-time location tracking of objects (vehicle, person, pet, luggage, bike, etc.) can be accessed from the app or online. Additionally, you can view other information like exact address, travel history, speed of travel and more. A small device called a Panic Button can send SOS signals anywhere in a pre-programmed message, along with a GPS location to a list of contacts or local law enforcement. Items are available for less than $100 on the MyElios website. Finally, a travel lock that opens with the touch of a finger. The Benjilock is a small, TSA-approved padlock for luggage and other items that works like Apple pay—with the imprint of a thumb. In fact, it can register up to four distinct fingerprints. The Shark Tank supported product made a hit at the Travel Goods Show as a safe and rechargeable (through lithium-ion battery) item that takes concern for tiny lock keys or combinations out the equation. It's widely available for $49.99.